The Feast of Chanukkah (with a capital “C”) is actually established in the cepheriym of the Makkabiym – books not written at the time of the Septuagint, and so ignored by the Rabbis, and discounted therefore by the emerging Roman church in its mixed theology of blindly adopted Rabbinical attitudes while hosting long-lasting anti-Judaism. Then said Yahudah and his brethren, Behold, our enemies are discomfited: let us go up to cleanse (qadash) and dedicate (chanak) the sanctuary. 37 Upon this all the host assembled themselves together, and went up into Mount Tsiyon. 38 And when they saw the sanctuary desolate, and the altar profaned, and the gates burned up, and shrubs growing in the courts as in a forest, or in one of the mountains, yea, and the priests' chambers pulled down; 39 They rent their clothes, and made great lamentation, and cast ashes upon their heads, 40 And fell down flat to the ground upon their faces, and blew an alarm with the shofars, and cried toward heaven. 41 Then Yahudah appointed certain men to fight against those that were in the fortress, until he had cleansed the sanctuary. The desire of the descendants of Yisra’el, having pushed back their enemies from the Temple, was to cleanse and dedicate the sanctuary. Central to their grief upon its rediscovery, was finding that the altar had been profaned. Is such a thing really significant, or wouldn’t it be possible just to sweep this information under the rug, clean it up a little bit, and go back to using it as before? Isn’t that the American way? Maybe, but it is not the way of Beit Yisra’el under the guidance of the family called the Hammers (Makkabiym). So he chose priests of blameless conversation, such as had pleasure in the Torah: 43 Who cleansed the sanctuary, and bore out the defiled stones into an unclean place. 44 And when as they consulted what to do with the altar of burnt offerings, which was profaned; 45 They thought it best to pull it down, lest it should be a reproach to them, because the heathen had defiled it: wherefore they pulled it down, 46 And laid up the stones in the mountain of the Temple in a convenient place, until there should come a prophet to show what should be done with them. The recitation in Makkabiym Rishiy indicates that the Greeks had sacrificed a pig on the altar and required that the high priest and his sons eat of the pig that had been slaughtered. All of them refused and gave up their lives to avoid defilement. Can we say the same? Or do we allow anything and everything to be sacrificed on our altar, even those things that openly confess their desire to be exclusively the defilement of the faith? Then they took whole stones according to the Torah, and built a new altar according to the former; 48 And made up the sanctuary, and the things that were within the Temple, and hallowed the courts. 49 They made also new holy vessels, and into the Temple they brought the menorah, and the altar of burnt offerings, and of incense, and the table. 50 And upon the altar they burned incense, and the lamps that were upon the menorah they lighted, that they might give light in the Temple. 51 Furthermore they set the loaves upon the table, and spread out the veils, and finished all the works which they had begun to make. We begin with the understanding that those rebuilding the altar and the cleansing of the Temple did so in accord with the Torah. As we consider this Feast of Dedication, this Feast of Chanukkah, let us again rededicate ourselves with whole stones according to the Torah. Now on the five and twentieth day of the ninth month, which is called the month Kiclev, in the hundred forty and eighth year, they rose up early in the morning, 53 And offered sacrifice according to the Torah upon the new altar of burnt offerings, which they had made. 54 Look, at what time and what day the heathen had profaned it, even in that was it dedicated (chanak) with songs, and citherns, and harps, and cymbals. 55 Then all the people fell upon their faces, worshipping and praising the ELOHIYM of heaven, who had given them good success. 56 And so they kept the dedication (chanukkah) of the altar eight days and offered burnt offerings with gladness, and sacrificed the sacrifice of deliverance and praise. 57 They decked also the forefront of the Temple with crowns of gold, and with shields; and the gates and the chambers they renewed, and hanged doors upon them. 58 Thus was there very great gladness among the people, for that the reproach of the heathen was put away. 59 Moreover Yahudah and his brethren with the whole assembly of Yisra’el ordained, that the days of the dedication (chanukkah) of the altar should be kept in their season from year to year by the space of eight days, from the five and twentieth day of the month Kiclev, with mirth and gladness. 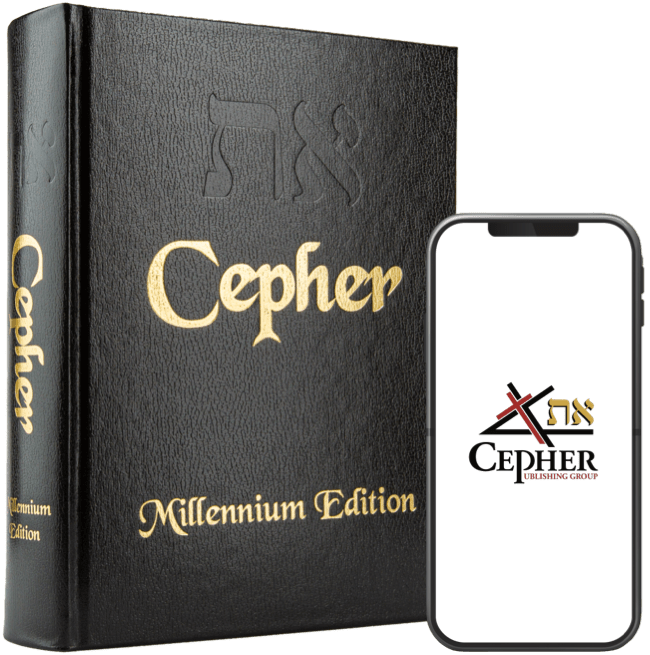 The keeping of this feast of rededication for eight days as found in the Cepher Makkabiym Ri’shon was intended to be in strict accord with the Torah. Therefore, the keeping of eight days is predicated upon the eight day feast held by Shalomah in the dedication of the first Temple. Take a look at 4:47: Then they took whole stones according to the Torah, and built a new altar according to the former. For those who practice Chanukkah, mostly those of the Jewish faith or tradition, there is nothing in scripture concerning the miraculous burning of the candles for eight days. And it was at Yerushalayim the Feast of Chanukkah, and it was winter. 23 And YAHUSHA walked in the Temple in Shalomah's Porch. Wha-a-a-a-a-a-t?!? YAHUSHA went up to Yerushalayim for the Feast of Chanukkah? Yes, that is the case. Therefore, when asking the question WWJD (what would Jesus do? ), the answer is, he would go up to Yerushalayim for the Feast of Chanukkah.